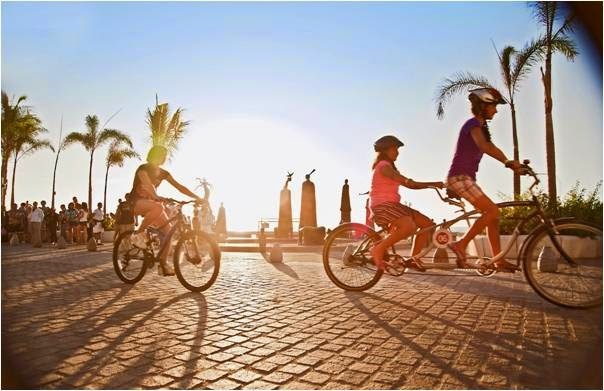 Puerto Vallarta and Riviera Nayarit, two stunning neighbouring regions on Mexico’s Pacific Coast offer something to suit all ages and interests. Those looking for a family beach vacation will love Mexico’s Pacific Coast, with over 250 miles of coastline and endless beaches it is perfect for walks, surfing, building sand castles, playing beach games and just plain old sunbathing. In Puerto Vallarta be sure to pay a visit to Playa Conchas Chinas, a stunning beach stretching out to the Sierra Madre Mountains, while in Riviera Nayarit Playa de Sayulita is the ideal place to unwind. As well as relaxation, there are also a number of family adventures to be had in the regions. In Puerto Vallarta there are a number of excursions, such as the jungle canopy adventure run through Vallarta Adventures, suitable for children aged 8+. With elevated treetop platforms, a wobbly climb up a 50ft high Crazy Ladder, Tarzan Swings, plus suspended walkways and hanging bridges, this playground in the trees provides endless excitement. The adventure continues 3.5 hours north of Nuevo Vallarta (Riviera Nayarit), in San Blas, an idyllic fishing village best known for its friendly locals and delicious fresh specialty cuisine, considered a bird watching paradise. Take a cruise down the river La Tovara through mangroves, visiting the crocodile reserve and exploring rustic towns and historic ruins, delivering a truly authentic experience. For more fun in the sun, Aquaventuras Water Park in Riviera Nayarit is a great choice for a full day of activities and is conveniently located just minutes from the Nuevo Vallarta Hotel Zone. With large pools, a ‘little water world for kids’, 10 water slides and toboggans and a relaxing lazy river the park is equipped with everything you could wish for. Visitors can even watch amazing dolphin and sea lion shows starring acrobatic marine animals, or get up close during a swim with dolphin and sea lions program that lets you interact with these fabulous marine mammals for a truly unforgettable experience. If wildlife is a passion then it is interesting to note that the areas are home to a wide variety of rare species. With over 300 species of birds to see, Puerto Vallarta’s exotic Botanical Gardens are the ideal place to see these tropical creatures, with special trails on offer. In Riviera Nayarit there are also several prime deep sea fishing spots for both novice and seasoned sport fishermen, such as Punta Mita where the family can get involved in catching anything from common tuna to Amberjack and Roosterfish - you can even end the day in a local restaurant cooking up your catch. This fashionable property is built with families in mind. As well as a great range of amenities for adults including a spa, high-tech gym and lively lobby bar, there are also a lot of things for kids too. The well-manned kids’ club features fun daily activities, a playground and kids pool. For a more mid-range budget hotel this hotel delivers pretty much everything you could want. There's a large pool and a separate kids pool with mini water slide. Additionally, there are two tennis courts and a games room with air hockey and X-Box stations. 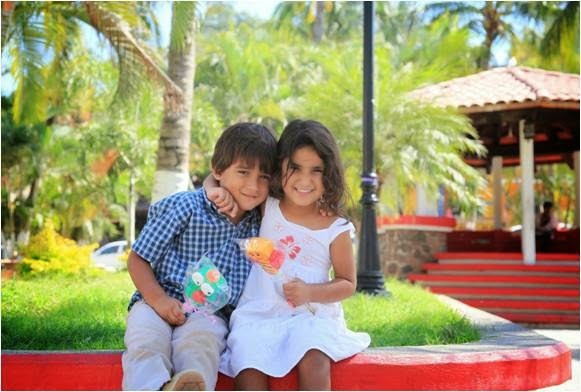 For children aged 4-12 there is a Kids' Club, which has supervised crafts and activities and special Kids' Suites are available for families. For a luxurious experience in Riviera Nayarit the Four Seasons is known for its outstanding children's program, which includes not only kids menus at the restaurants and the free use of cribs, but also welcome gifts, free baby toiletries, a fun lazy river, large suites and villas suited for families and babysitting services. Plus the resort’s fantastic kids club even has a tree house, a playground and a movie theater! Located in Bucerias this all-inclusive hotel oozes fun through its bright color scheme and exciting live shows. On the seven-acre plot there are a number of great amenities geared towards families including a kiddy pool, outdoor tennis courts with free lessons available, free use of non-motorized water sport equipment, a soccer field and bicycles for loan.